or they can be accessed via the Cycles menu above. All lots have been moved to the section pages listed below in related items or via the Cycles menu. On Saturday 7th June 2014 we held our first specialist cycling section. Here are the bikes and frames that were offered for sale. There were some late entries on the day of the sale and they are not included. You can download the Auction Catalogue as a PDF. 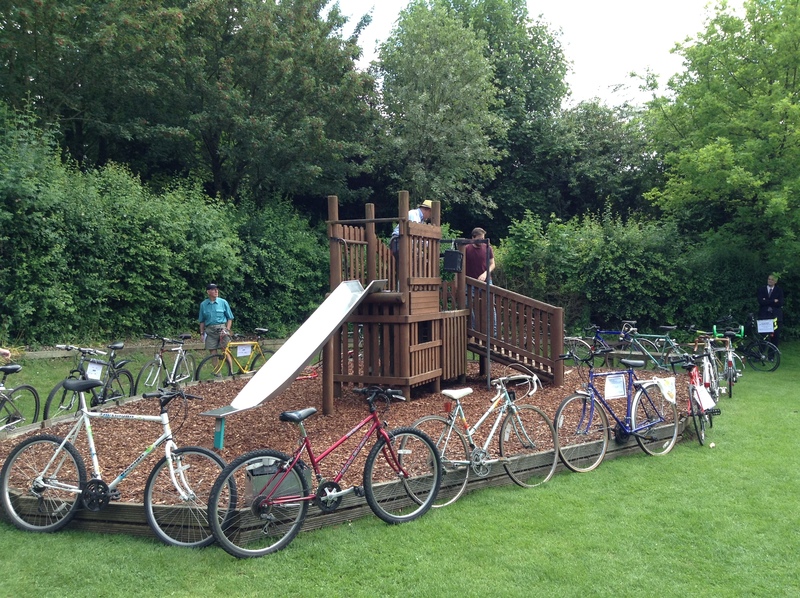 On Saturday 7th June 2014 we held our first specialist cycling section. Here are the cycle parts that were offered for sale. There were some late entries on the day of the sale and they are not included. On Saturday 7th June 2014 we held our first specialist cycling section. Here are the cycle clothes that were offered for sale. There were some late entries on the day of the sale and they are not included. On Saturday 7th June 2014 we held our first specialist cycling section. Here are the cycle tools and books that were offered for sale. There were some late entries on the day of the sale and they are not included. On Saturday 7th June 2014 we held our first specialist cycling section. Here are the cycle accessories that were offered for sale. There were some late entries on the day of the sale and they are not included. Please click to download Cycle Auction Catalogue. Normal disclaimers it will be mostly true on the day but some items may not be brought by their owners and there will be unexpected lots that arrive on the morning of the sale. On Saturday 6th September 2014 we held our second specialist cycling section. Here are the bikes and frames that were offered for sale. There were some late entries on the day of the sale and they are not included. You can download the 6 September Auction Catalogue as a PDF. On Saturday 6th September 2014 we held our second specialist cycling section. Here are the cycle accessories that were offered for sale. There were some late entries on the day of the sale and they are not included. On Saturday 6th September 2014 we held our second specialist cycling section. Here are the cycle parts that were offered for sale. There were some late entries on the day of the sale and they are not included. The following cycles were not sold at the last cycle auction. They are offered here at fixed prices based on collection from Alresford, Hampshire. Local delivery is possible but charges may be applied. On Saturday 6th SJune 2015 we held our third specialist cycling section. Here are the bikes and frames that were offered for sale. You can download the 6 June Auction Catalogue as a PDF. On Saturday 6th June 2015 we held our second specialist cycling section. Here are the cycle clothes that were offered for sale. There were some late entries on the day of the sale and they are not included. On Saturday 6th June 2015 we held our second specialist cycling section. Here are the cycle accessories that were offered for sale. There were some late entries on the day of the sale and they are not included. On Saturday 6th June 2015 we held our second specialist cycling section. Here are the cycle parts that were offered for sale. There were some late entries on the day of the sale and they are not included. You can now download the 15-09-05 Cycle Auction Catalogue. Several items were added by sellers during the day hence why we have published late in the day. On Saturday 5th September 2015 we held our fourth specialist cycling section. Here are the cycle parts that were offered for sale. You can download the 5 September 2015 Auction Catalogue as a PDF. On Saturday 5th September 2015 we held our fourth specialist cycling section. Here are the cycle clothes that were offered for sale. On Saturday 5th September 2015 we held our fourth specialist cycling section. Here are the cycle accessories that were offered for sale. On Saturday 5th September 2015 we held our fourth specialist cycling section. Here are the bikes and frames that were offered for sale. On Saturday 4th June 2016 we held our fifth specialist cycling section. Here are the bikes and frames that were offered for sale. You can download the 4 June 2016 Auction Catalogue as a PDF. On Saturday 4th June 2016 we held our fourth specialist cycling section. Here are the cycle parts that were offered for sale. Don Louis road bike 23" frame and "Group set"
A 23″ Seat tube and 22.5″ top tube centre to centre. 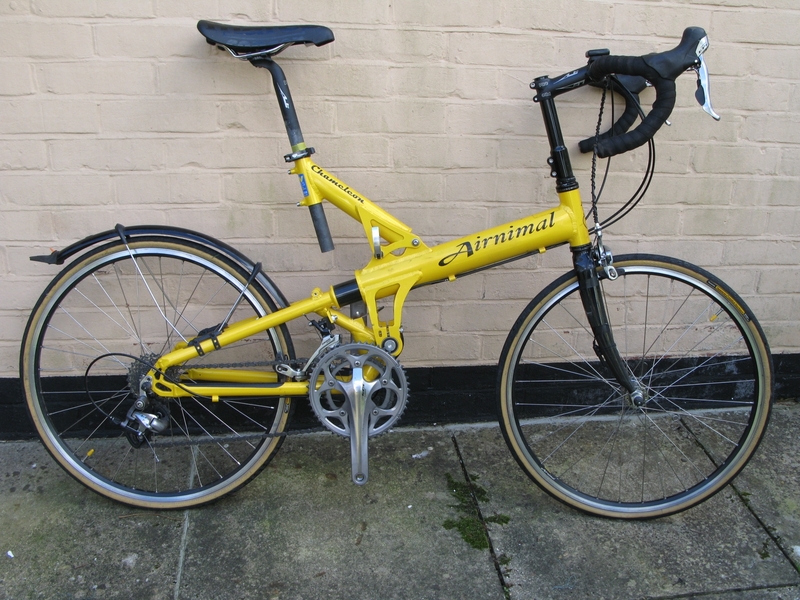 Generally in good condition with chromed forks, Campagnolo headset, pivot mounts for cantilever brakes, eyes for mudguards and derailleur cables. The bottom bracket shell is marked underneath 1762 and on the non-drive side top RGB. 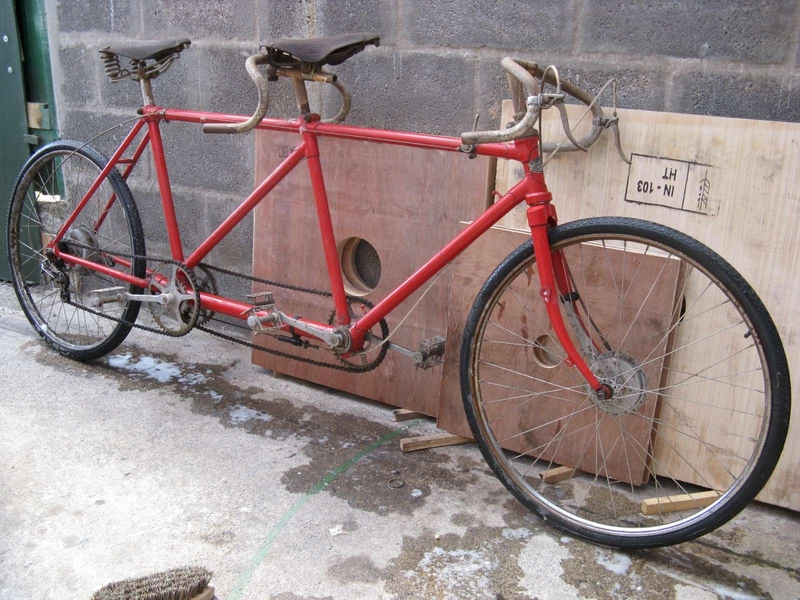 If you have similar bikes to this we would be pleased to include them in the sale. A partly built bike with period components. Its for a fixed, single cog freewheel or Sturmey Archer rear wheel. BSA Chainrings and cotter pin cranks. 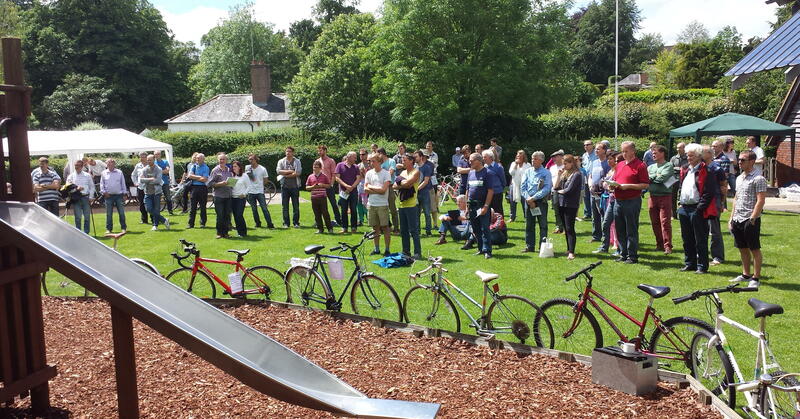 On Saturday 3rd June 2017 we held our sixth specialist cycling section auction. Here are the cycles and frames that were offered for sale. These items are no longer available for sale. You can download the 3rd June 2017 Cycle Auction Catalogue as a PDF. On Saturday 3rd June 2017 we held our sixth specialist cycling section auction. Here are the cycle parts that were offered for sale. These items are no longer available for sale. On Saturday 3rd June 2017 we held our sixth specialist cycling section auction. Here are the accessories that were offered for sale. On Saturday 3rd June 2017 we held our sixth specialist cycling section auction. Here are the tools and books that were offered for sale. After five years of cycle auctions, several things conspired against running one this June. We are pleased to say Andrew Wilcox will run a Cycle Jumble at Itchen Abbas on the 9th June.